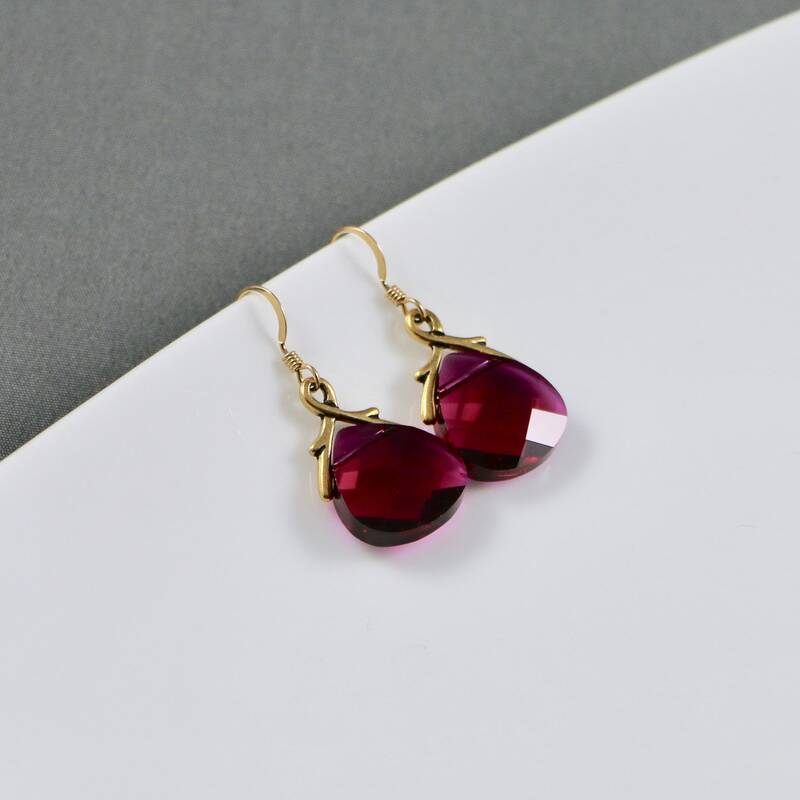 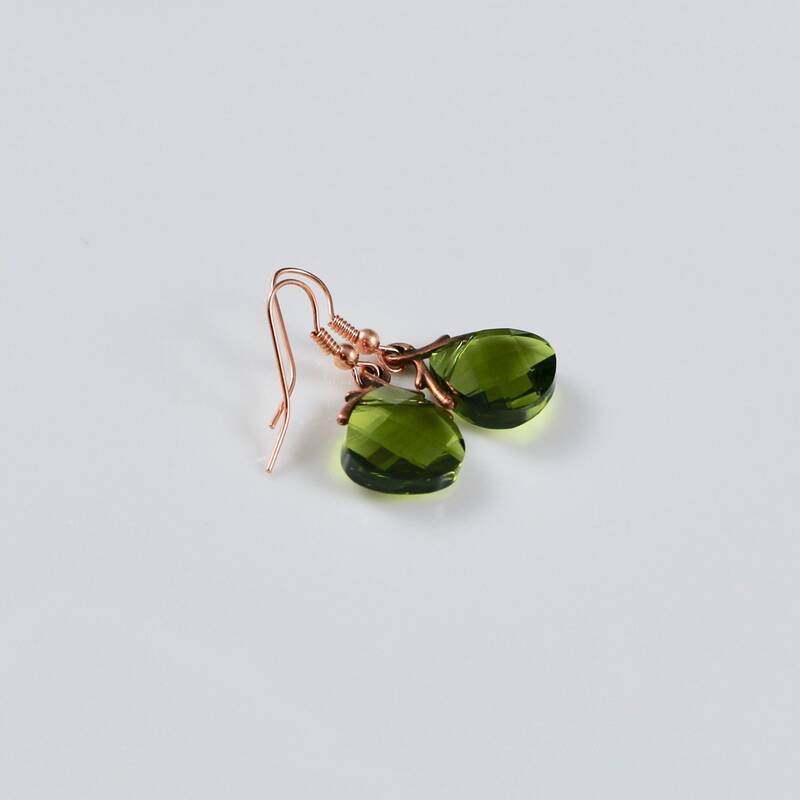 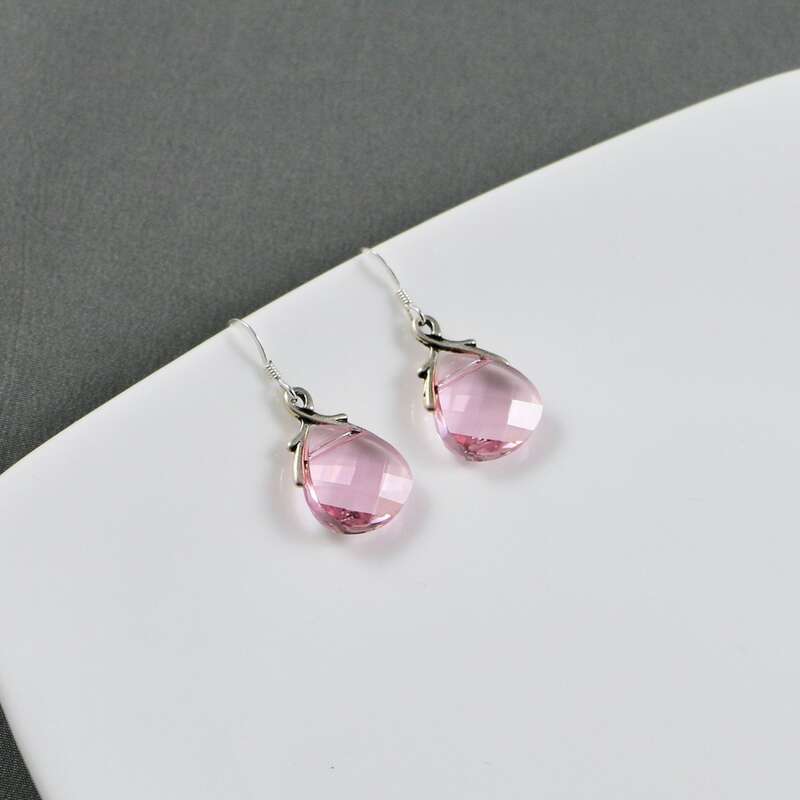 Earring Ingredients: 15.4mm faceted Swarovski Crystal pear shaped pendant topped with a bail and suspended from ear wire. 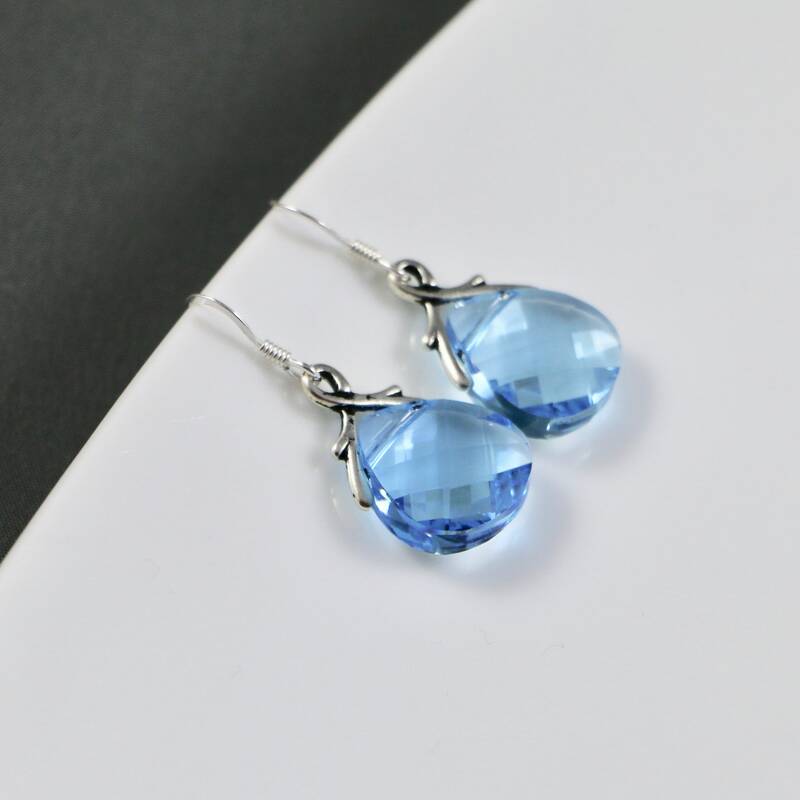 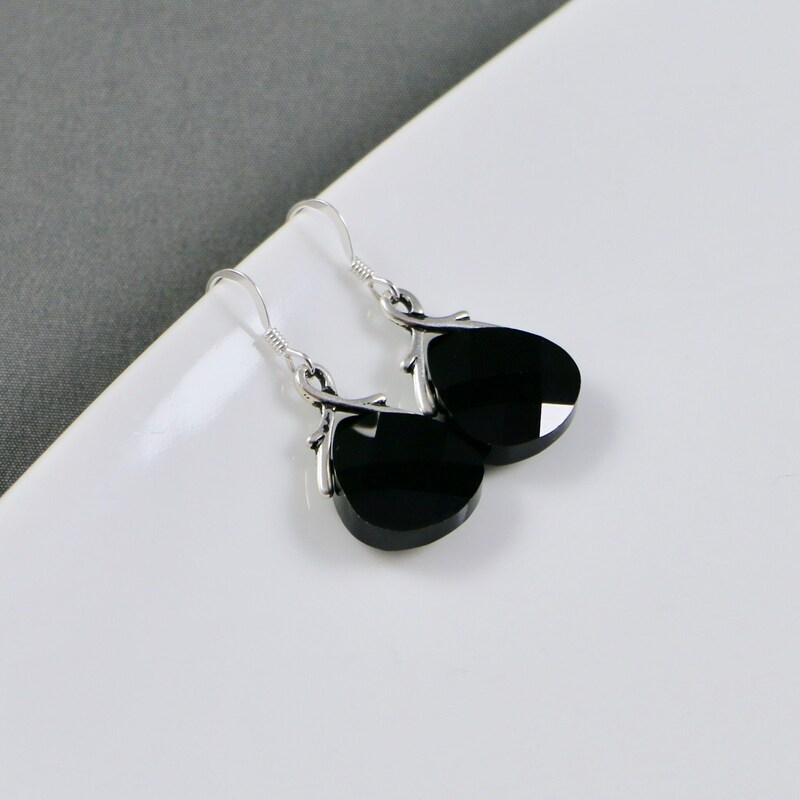 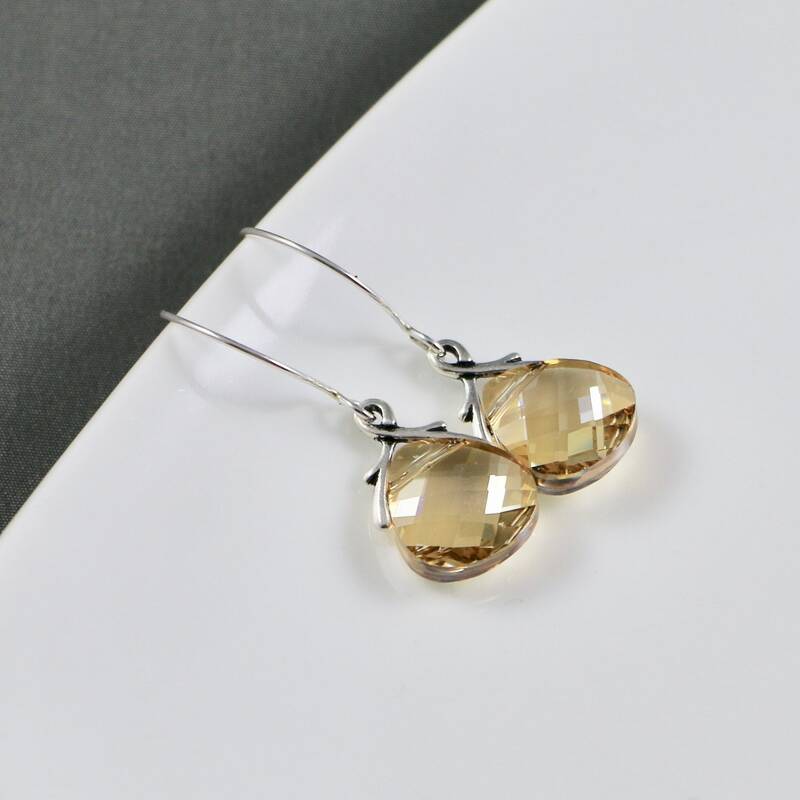 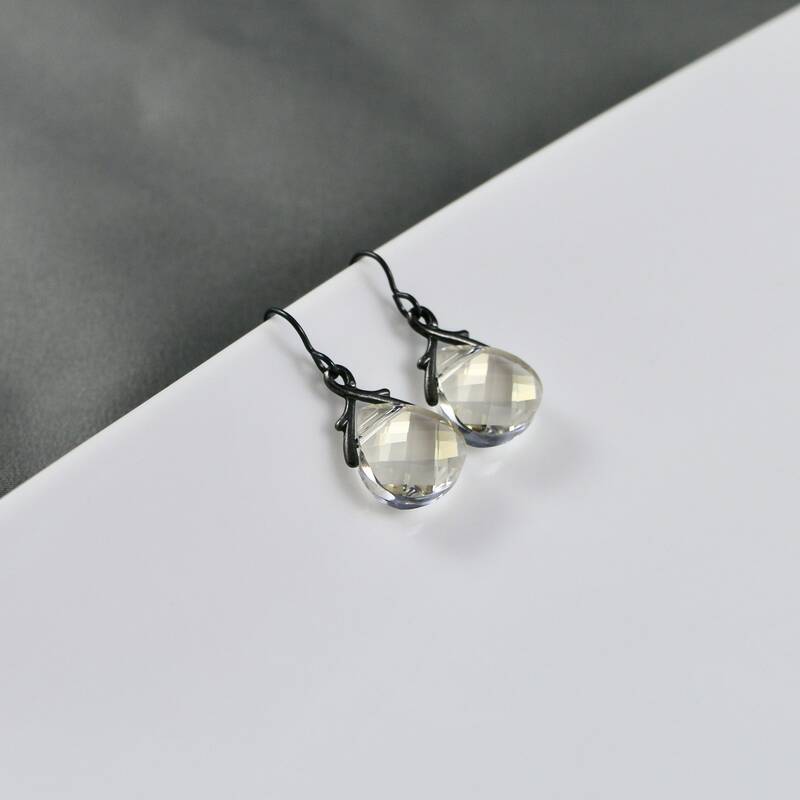 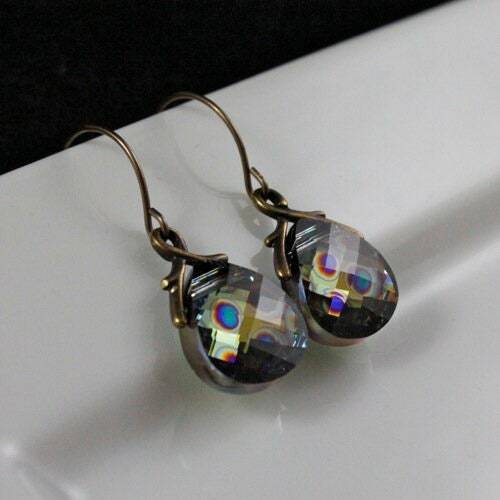 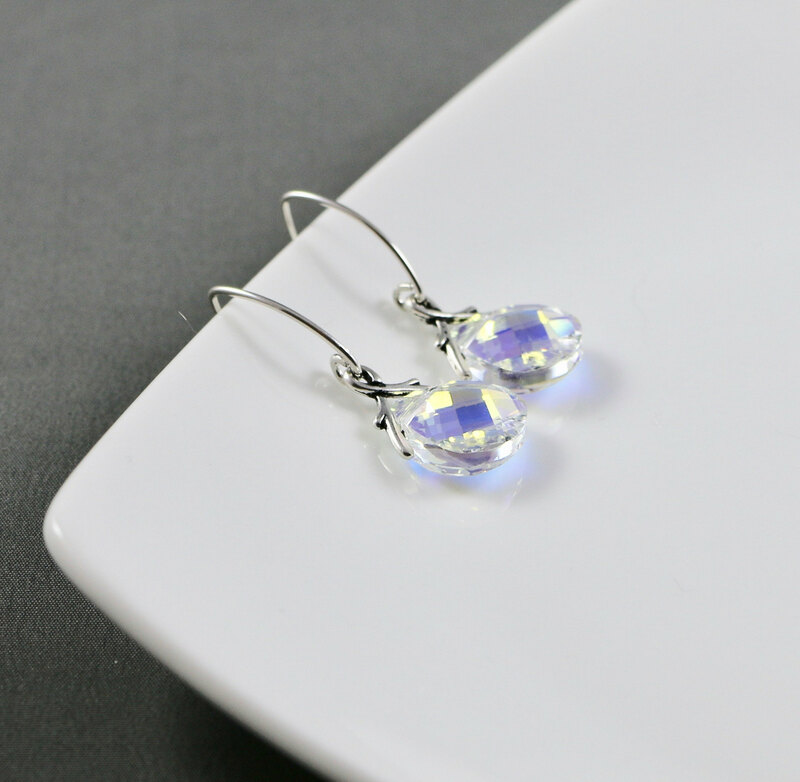 Earrings come in a variety of crystal colors as well as a variety of metal colors. 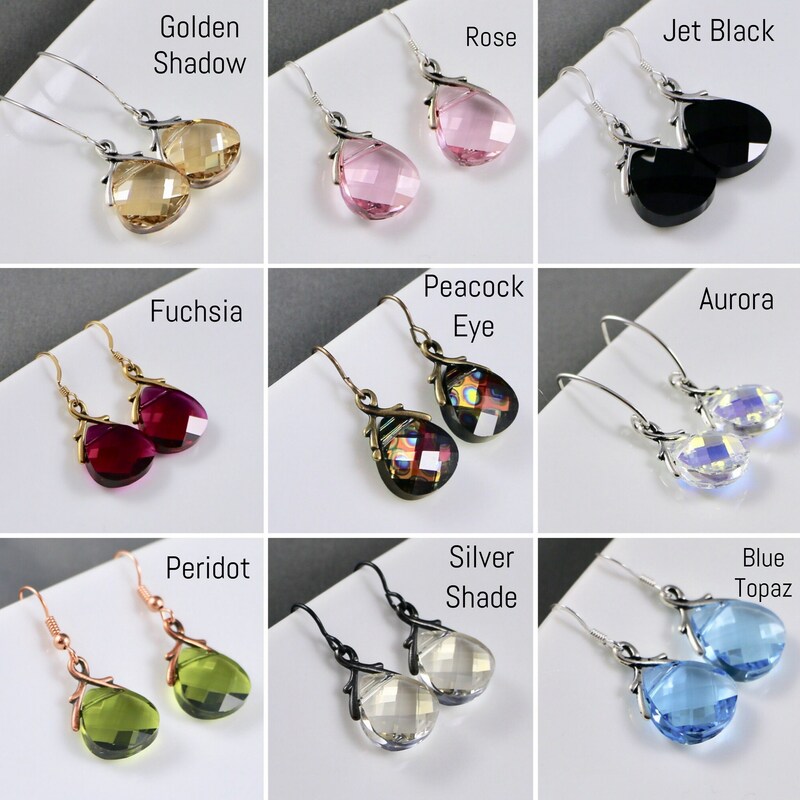 You can select options above.